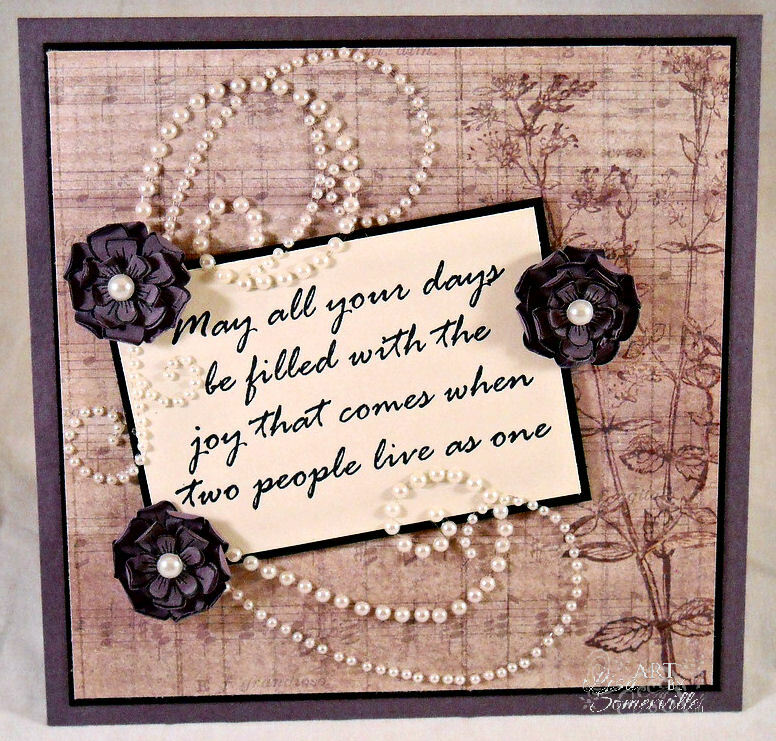 Designs by Lisa Somerville: Heartfelt Creations - Wedding Collection and a Chance to Win! Heartfelt Creations - Wedding Collection and a Chance to Win! I'm excited to share with you some of the projects I created using the stamps and dies from the Heartfelt Wedding Collection! The Heartfelt Wedding Collection features 7 new PreCut Sets and a new exclusive Heartfelt Creations die, manufactured by Spellbinders. You're going to love the new vintage lace die and stamp in this collection! I'm also thrilled to let you know that some of the images in this collection coordinate with the recently released Bella Rose Die, adding even more value to a die you might already own. Want a chance at winning this months release? Leave a comment on my blog or the Heartfelt Creations blog by June 14 and one lucky person will win the entire release valued at $129.99. The winner will be announced on the HC blog on June 15. 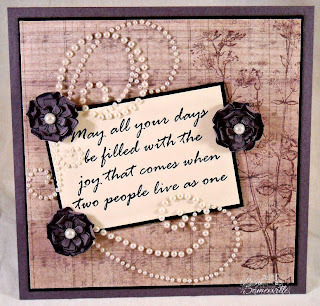 My first card features the lovely Bella Rose Wedding and Posy Patch Stamps/Dies. I stamped the image in Black Archival on Watercolor paper, then added color to the bell with Gray ink and H20 Brush. 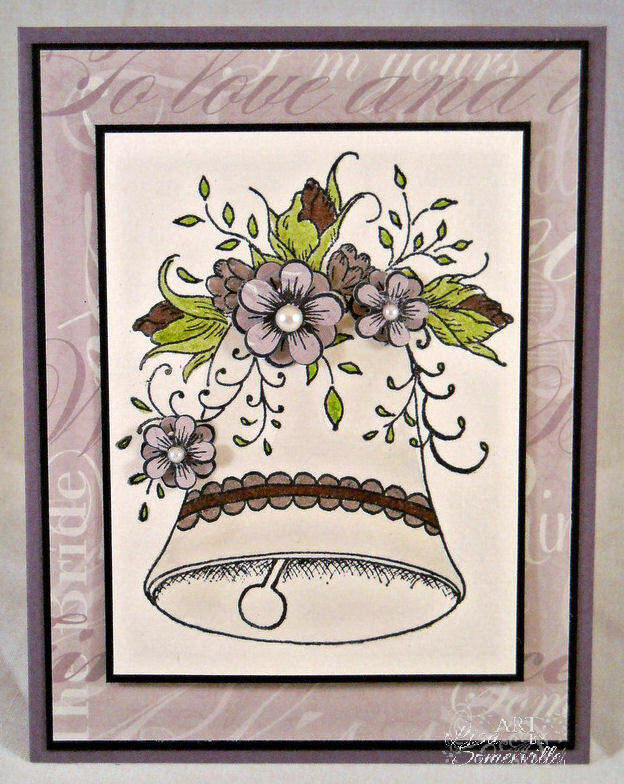 I used markers to color the flowers and scallop on the bell image, and added dimension to the Posy image by stamping the Posy in Black on Pattern Paper, then die cutting with the Posy Patch Die, and adhering over the image with dimensionals. Looking for more inspiration, stop by the Heartfelt Creations Blog to see what the other designers created with this new release. Lisa, these are beautiful - thank you so much for sharing. You are truly gifted when it comes to the Vintage style! What a beautiful collection! Your cards are beautiful, as well! Beautiful cards. Thanks for the great inspiration. beautiful cards, love the sentiment on that 2nd one. Beautiful artwork! 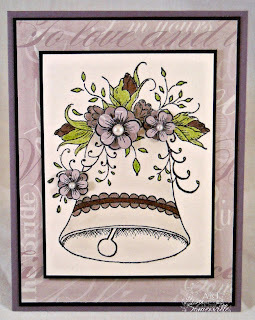 Love the colors on the bell card, great inkspiration GF! Love your bell card and all the extra details with your flowers...it really makes it pop. Lisa, your cards are beautiful! I love Heartfelt stamps and would love to win this collection. thanks for the chance. Beautiful! As always, I love your style! Love the pretty flowers on your wedding bells. The second card is gorgeous with the flourishes and flowers. Lovely sentiment. Lisa, this is a beautiful creation - your work is really inspiring! Both cards are just gorgeous, Lisa! Love these cards! Lovely! My daughter is getting married in July so I'm starting to look at stamps to get their card made. Loving the bell! Thanks for sharing and hope I win, whoohoo! Lisa - as usual your talent is just incredible. I'm new to Heartfelt Creations but I am finding that the quality of their stamps is outstanding! Thank you! They are both absolutly GORGEOUS!!! Love your beautiful cards Lisa! Such pretty cards. Love this collection! Beautifully elegant card. The sentiment is lovely. Thanks for joining us at Sweet Stamps this week. I hope you will consider trying Sweet Stamps images. Love how you worked with this stunning collection! Your first card is so soft and pretty and your second features the sentiment so well! Beautiful cards Lisa, gorgeous details. Your cards are just gorgeous. Love your vintage look. I love Heartfelt Creations and am always saving my pennies for the next "buy." Just beautiful Lisa! I love how you made the flowers pop with the first and the elegance of the second card. Both of these are gorgeous, love the pearl flourish too. Your work is always perfection! I love this new release- it is so versatile.